A Wise Woman Builds Her Home: 10 Good Reasons to Get Our New eBook! 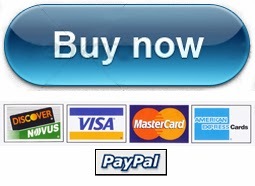 10 Good Reasons to Get Our New eBook! If you still haven't bought our new eBook How to Build a Strong Christian Home: One Step at a Time yet and are sitting on the fence on whether you should get it or not--then today's post is for you, we are sharing 10 reasons why you should get it! Before we begin this list I would like to thank all the people who have already purchased this eBook, helped us to get to #2 of Hot New Releases list on Amazon last week, did reviews, contacted me about how much they loved the book and more. We could not have done this without you! Each chapter of How to Build a Strong Christian Home is filled with gems and nuggets to take away and apply to our every day lives. There is much application and it is a book that will challenge and spur you on in your role as a Christian wife and mother. We are reminded that just because there are Christians in the home doesn't mean Christ is the foundation of the home. It begins in our hearts. As I read I kept coming back to this line in a favorite hymn, "On Christ the solid Rock I stand, all other ground is sinking sand". It will be a book you will return to time and again. 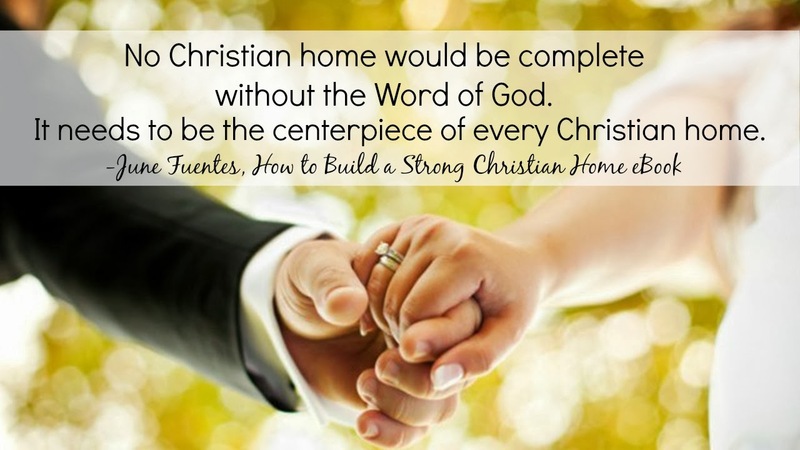 June Fuentes, from A Wise Woman Builds Her Home, has written an extraordinarily practical, wise book about all things building a Christian home culture. For the mom who already understands building her home and the power of her influence, the book is an excellent shot in the arm, jarring us from our daily doldrums. In a culture that treats home as merely a stopping place for people to eat and sleep, How to Build a Strong Christian Home is a much-needed clarion call for the church, the family and the Christian community, to reestablish the foundation of Christian culture. If we are to ever see the transforming power of Christ's work in our churches and communities, we must first ignite it in our homes. 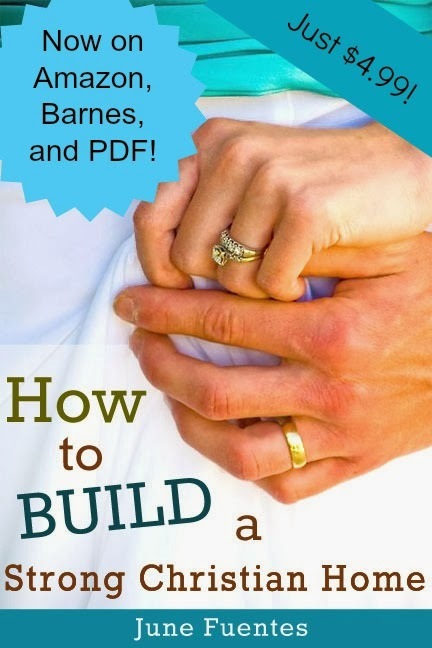 June's book is a wonderful help for building Christian homes for God's glory. Whether this is all new to you or you have gotten sidetracked and need some prodding to get "back at it", you'll find lots of helpful advice, quotes, and Bible verses to show you the way. Some of my favorite sections of the book deal with ministering and working together as a family and making your home a sanctuary for your husband and children. Junes’ book is filled with all sorts of practical advice, quotes, and examples to encourage a Christ-centered home, filled with peace and the love of God. It was so refreshing to read how her family spends time at the “family altar,” because it reminded me of how we do things at our house! "As a parent, I’m painfully aware of the challenges families face in today’s world. It is no small thing to raise godly kids in this generation, and it certainly won’t happen by accident. June’s book, How to Build A Strong Christian Home, is packed full of encouragement for parents who want to obey God’s commands, and lead their family in a God-centered way. You will be reminded just how important your role is, as a parent, and how much influence you can have on not only your children, but also the generations to come.This book is very practical, and will help many who want to have a strong Christian home, know what they can do to make that happen. I love how she clearly points out that none of us are perfect parents, and none of us have perfect homes. However, with the help of God, and with His grace, He can use our imperfections to help us grow more like Him, and depend on Him. Some of my favorite parts of the book are the reminders and tips about supporting our husbands, and her words of exhortation about not being robbed of the simple joys of life. Chapter 6 talks about teaching God’s Word in our homes, and shepherding the hearts of our kids. Those two things are SO foundational to all that we do as parents. It’s something we probably know, but can always be reminded of! We kept the price low for everyone so now can get all this for the price of a cup of coffee at Starbucks! It is available in three formats (take your pick).